Our winter warmer bundle offer will certainly warm the coldest winter night. 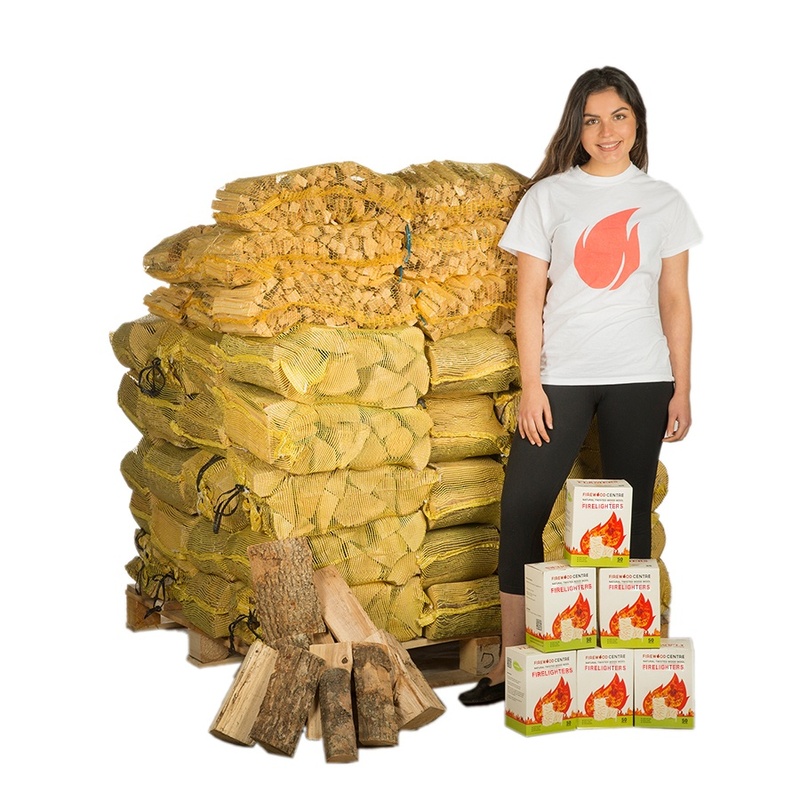 You get thirty-two nets of kiln dried hardwood, six bags of kindling and four boxes of our popular natural firelighters. This should be enough to last a single household through the longest winter, or why don’t you consider sharing an order with a neighbour to benefit from the significant bulk discount that we are offering? 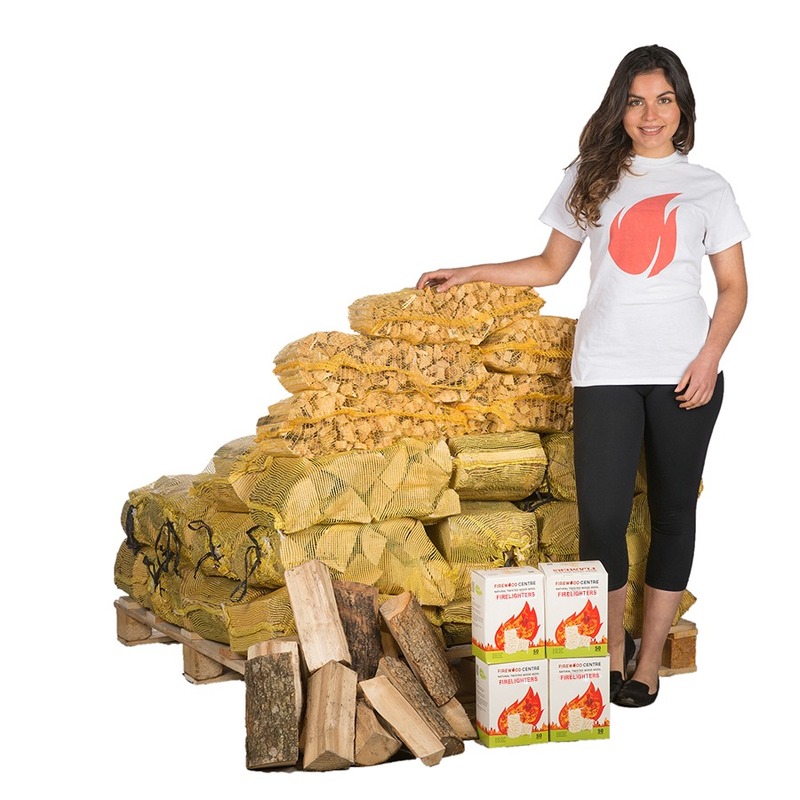 With free delivery straight to your door and the sturdy mesh bags, logs can be easily moved if required. 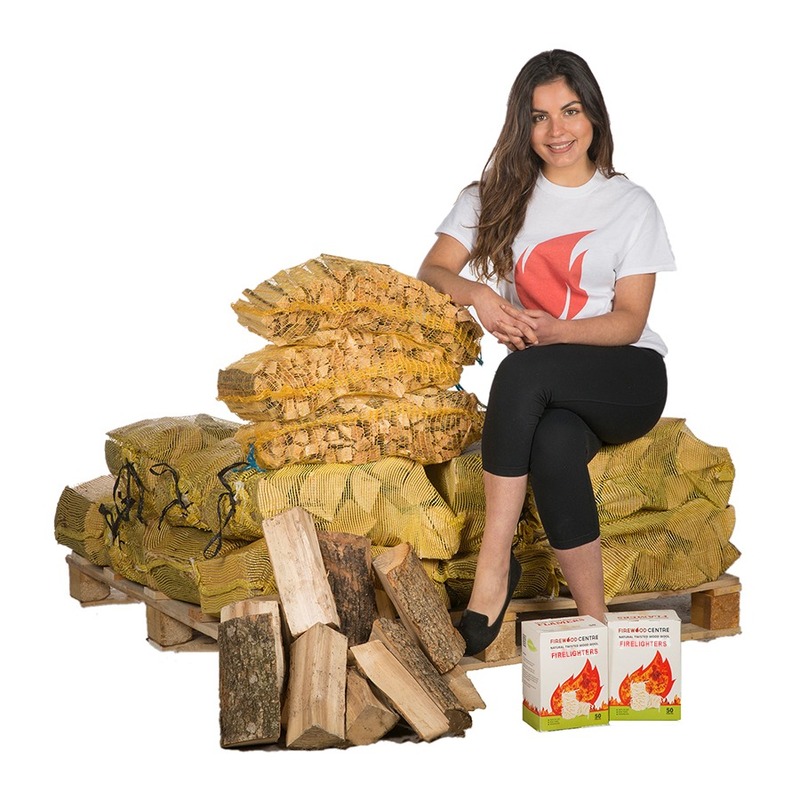 We would recommend storing logs in a warm dry place as they can absorb moisture when exposed outside.